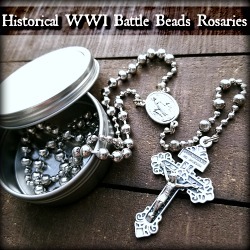 I have added a link to the Society of St. Catherine of Siena to my sidebar. Editing Note: the original website is no longer available. 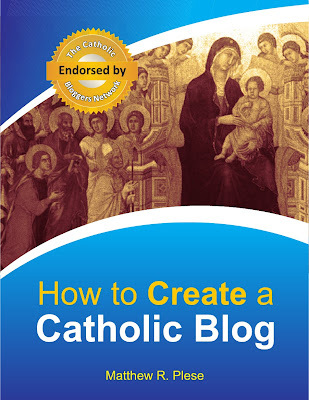 For similar content, try the St. Catherine of Siena site in Phila., Pa. The Society of St. Catherine of Siena is committed to the renewal of the intellectual apostolate in the Roman Catholic Church. The Society has an association with the English Province of the Order of Preachers. It is registered charity number 1088118. In particular interest, this Fall the Society of St. Catherine of Siena will launch a new journal: Usus Antiquior. More information on this initiative has been posted by Mark at the above linked post to his website. 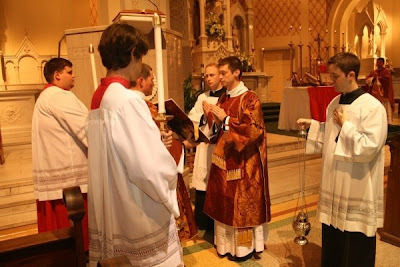 One year after the release of the motu proprio Summorum Pontificum, The Liturgical Institute at the University of Saint Mary of the Lake in Mundelein, Illinois, announced that it has added a required 3-credit course on the history and spirituality of the Extraordinary Form of the Roman Rite to its roster of classes. 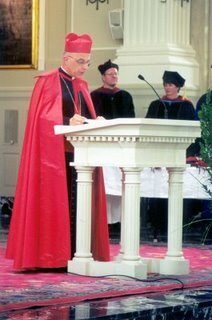 The Liturgical Institute was founded by Cardinal Francis George, Archbishop of Chicago (left) in the year 2000. Though the primary emphasis of the Institute involves the reformed liturgical books, this course comes in response to the call of Pope Benedict for freer study and use of the missal of 1962. In the summer and Fall of 2007, immediately after the release of the motu proprio, the Institute included several lectures on the topic in its Hillenbrand Lecture Series, including one by Rev. Dennis Gill, Director of Worship for the Archdiocese of Philadelphia, and another by Bishop Joesph Perry, Auxiliary Bishop of Chicago. 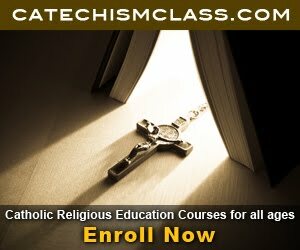 The formal course, whose description is below, will be also be offered for priests and others not enrolled in the Institutes's degree programs. 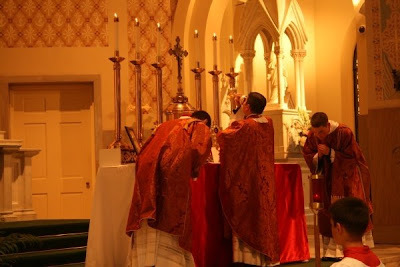 Pope Benedict XVI’s assurance in the Apostolic Letter Summorum Pontificum that every Roman Rite priest may offer the Eucharist and other sacraments according to the form of the rite that was preeminent prior to 1969, provides new opportunities for people to encounter a manner of worship that represents two millennia of exegetical reflection and theological contemplation. Now designated as the “extraordinary” form of the Roman Rite, the Mass that serves as the rite’s liturgical center requires careful consideration. The constituent structures of this eucharistic liturgy’s ordo missae, the content of its ecclesiastical propers, its protocols for integrating biblical readings and antiphons, and the complex character of its multiple eucharistic prefaces and single eucharistic prayer (Roman Canon) preserve a form of liturgical celebration that was already well-established in Europe and North Africa before the 5th century. Subtle but meaningful refinements in this liturgy were implemented by Popes Gregory the Great (7th century), Innocent III (13th century), Pius V (16th century) and, at the start of the Second Vatican Council, John XXIII (1962). In a two-part course that considers the history and spirituality of the Mass of the Roman Rite in its extraordinary form, students will examine the theological foundations and tangible traditions within the Mass whose antiquity and subsequent centuries of celebration on every continent testify to the capacity of liturgy to transcend historical epochs and cultural divisions. The Feast of Sts. Peter and Paul of this year was an historic one for the Catholics of the Diocese of Lake Charles, Louisiana: it was celebrated by the offering of the first Solemn High Mass according to the Extraordinary Form in the Diocese since the end of the Second Vatican Council. This alone would have been cause for rejoicing, but the faithful of Lake Charles had even more to celebrate. The Mass was offered in the Cathedral of their Diocese, with their Bishop, Glen John Provost, himself in attendance, in choir, attended by two chaplains; and the Bishop himself preached a fine, strong homily on the fundamental continuity of the Faith, echoing Pope Benedict’s assertion that “What earlier generations held as sacred, remains sacred and great for us too.” Over four hundred people attended the choral Mass, including many who are not regulars of the usual weekly Mass according to the Extraordinary Form. The diocesan newspaper sent a reporter and a photographer to cover the story; the Mass was also video-taped for posterity. The history of the Gregorian Rite in Lake Charles in the past few years is a microcosm for the general movement of the Church in this time. The faithful there first had their long-standing “indult” Mass summarily canceled by their previous (and short-lived) Bishop; they suffered and agonized and prayed; and they then received — in the space of a few months — both the great gift of Summorum Pontificum and their present, and already much beloved, Bishop, who was ready to implement the motu proprio in accord with the mind of the Church. With these graces, they have rebuilt their community rapidly, organized a fine choir, and now split their time between the Cathedral and a local parish church; though many of the regulars hope eventually to have a more permanent, and regular, home, they are thrilled and grateful for the far-sighted generosity of the Bishop. The spirit of harmony and good will was much in evidence at the celebratory Mass. 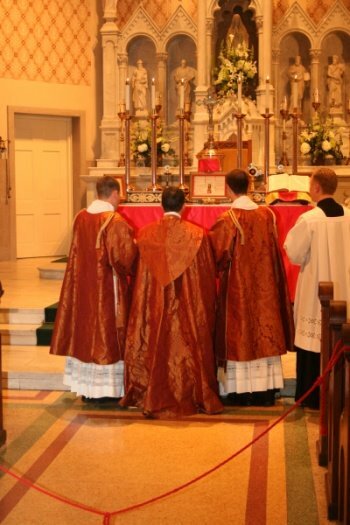 The Bishop offered his own matched set of fine martyr-red vestments for use during the ceremony — how many Bishops have a spare set of Solemn High Mass vestments on hand, complete with maniples? The clerics were all diocesan priests. Fr. Rommel Tolentino — a young pastor who is one of the three usual celebrants for the weekly EF Mass — celebrated the Mass, chanting his parts with an aplomb born of enthusiasm and much diligent practice. 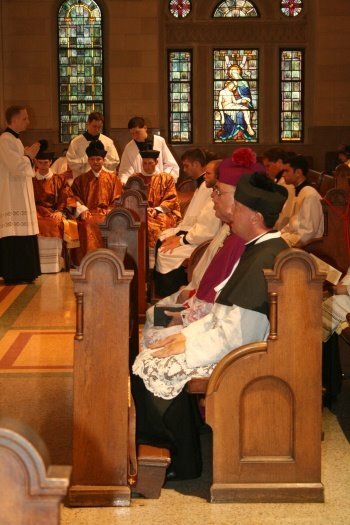 The deacon was another young priest, newly ordained Fr. Nathan Long; while the role of sub-deacon was filled by a transitional deacon, the Rev. Mr. Scott Connor. These last two clerics are the first wave of a growing group of seminarians who have volunteered to take extra instruction in Latin, with the Bishop’s approbation and encouragement, from a classics professor at the local University — and lover of the Gregorian Rite — Barbara Wyman. The Mass ended with a beautifully chanted Te Deum, perfectly expressing, in the Church’s traditional way, the great spirit of rejoicing — and relief — widely felt among the faithful that their Diocese is prospering under the piloting of its new Bishop, who himself is wisely responding to the guidance and spirit of Pope Benedict’s leadership of the Church. Deo Gratias! The Solemn High Mass celebrated by Rev. Fr. Rommel Tolentino as priest, Rev. Fr. Nathan Long as deacon, and Deacon Scott Connor as subdeacon was excellent. Wonderful news. 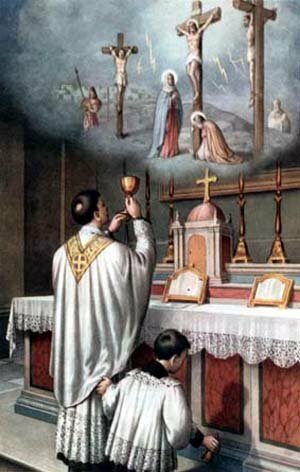 The only real disappointment is the fact that the High Altar was not used for this Holy Sacrifice of the Mass. Today at a Convent for the Poor Clare Nuns I served my first Tridentine Mass. It was a Tridentine High Mass celebrated by Fr. Bernard Danber, OSA. I am very thankful to have served my first Mass now. Please pray for Bishop-Elect (or "Designate" as some prefer) John LeVoir, presently pastor of St. Michael’s and St. Mary’s in Stillwater, MN (home of the famous bookstore). Also he was once pastor of St. Augustine’s in South St. Paul, where the Extraordinary Form has been celebrated for many years. As someone familiar with this area and these parishes, I am very excited to learn of this news. I have met his brother, the director of the Schola at St. Agnes Parish in St. Paul, Minnesota. BANGKOK: At least 29 countries have sharply curbed food exports in recent months to ensure that their people have enough to eat, at affordable prices. "It's obvious that these export restrictions fuel the fire of price increases," said Pascal Lamy, director general of the World Trade Organization. 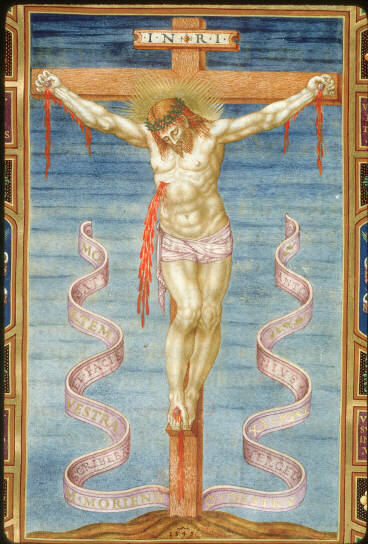 In the traditional Catholic Calendar, today is the 1st Class Feast of the Most Precious Blood of our Lord Jesus Christ. graciously heart us, O Lord.